Last week Kensington announced a slew of new accessories, one these being a new wireless bluetooth stereo headphones. 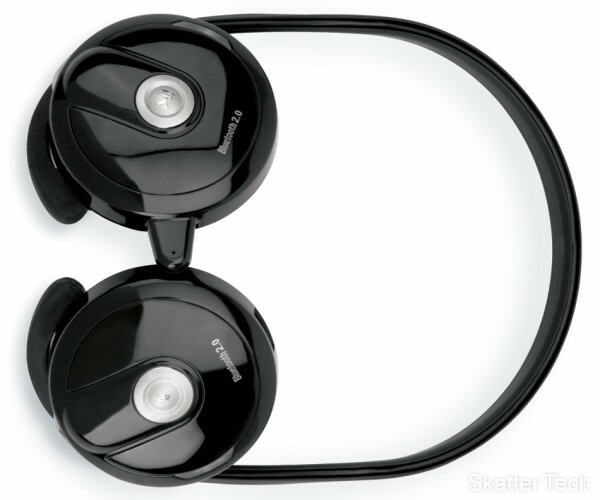 The headset can be used to listen to music and with built in microphone, it can also answer phone calls. The Kensington Bluetooth Stereo Headphones (K33436US) has built in “easy access buttons” to play/pause or skip tracks as well as to answer/end phone calls. In addition the headset can be paired with a Windows or Macintosh machine for use with applications such as Skype. The device will pair with any Bluetooth 2.0 device that supports the A2DP protocol. According to Kensington, the Bluetooth Stereo Headset will work up to 66 feet away from your wireless device and will offer an impressive 23 hours of music playback and 19 hours of talk time. The headphones have a MSRP of $79.99 and are available for pre-order, however it wont hit retail stores until March.